When implementing glass into your custom designs, you may come to realize that there are many different options you have to choose from. If you are seeking an ultra clear type of glass, then the option you will want to choose is starphire glass. Starphire glass is a high-clarity type of glass. It is made from silica with very low amounts of iron. By having these low levels of iron, it removes the greenish-blue tint that can be seen on other types of glass. Resulting in an ultra clear glass. Starphire glass is ideal for when clean lines and clarity is desired in your design. This type of glass leaves a clean and bright ambiance to your decor. A perfect solution for anyone who desires to brighten up a darkened space. 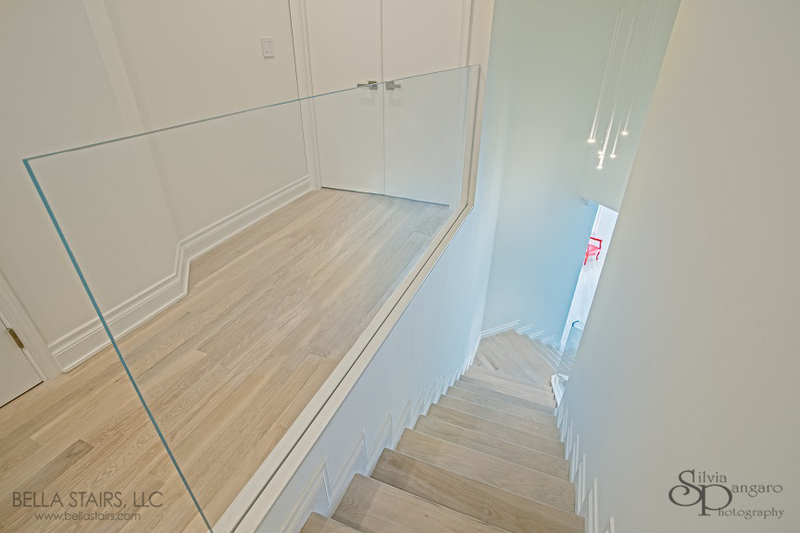 We have utilized starphire glass in many of our glass railing designs. The results are always stunning. 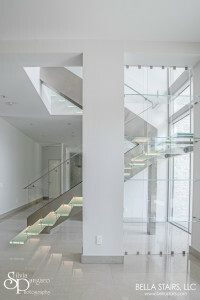 A starphire glass panel was installed on the second floor guardrail. Creating a contemporary ambiance or modern decor can be achieved by making the correct choices for your space. If clean lines and a bright ambiance is the look you desire for your luxurious home, consider using starphire glass in your custom design. Sometimes it is the smallest detail that makes the largest impact.